This is the seventh and last of our overview series of the main hotel loyalty schemes. Each scheme will be covered over two posts on consecutive days. One will list the basic facts of the scheme – basically “How does World of Hyatt work?” – whilst the other will be my subjective view of what is of particular merit. World of Hyatt is the smallest and newest of the global hotel loyalty schemes. Launched in early 2017 to replace Hyatt Gold Passport, it covers 750 hotels globally under the Park Hyatt, Grand Hyatt, Hyatt, Hyatt Regency, Hyatt House, Hyatt Place, Hyatt Centric, Hyatt Vacation Club, Hyatt Zilara, Hyatt Ziva, The Unbound Collection and Andaz brands. The World of Hyatt home page is here. Oasis home rentals were added to the World of Hyatt programme in March 2018 – see here. What is the geographic spread? You used to struggle to find a Hyatt in the UK, although the one London hotel has recently been joined by two budget Hyatt Place properties near Heathrow. Apart from that you only have one in Birmingham and an Andaz in the City. The chain is expanding – Hyatt reflagged good hotels in Nice and Cannes in 2013 and Germany is particularly strong. More importantly, the hotels Hyatt has are generally excellent. Park Hyatt is the most luxurious hotel chain that is run by a multi-brand group. Do I use them? Yes I do, because they are very good hotels. I have stayed at the Grand Hyatt Berlin, Park Hyatt Vendome Paris, Park Hyatt Dubai, Park Hyatt Hamburg and Park Hyatt Zurich for cash in recent years (Zurich is reviewed here, Hamburg is here). My wife also uses the Park Hyatt in Hamburg when visiting her head office. I had a surprisingly impressive stay at my first Hyatt Place in Dubai last year, reviewed here. I have had some spectacular redemptions in Asia over the years using the ‘suite upgrade’ rewards. I was disappointed that I couldn’t book their Tokyo hotels on my trip last year due to availability issues. If they had more properties, I would use them more. If it were easier to earn Hyatt points in the UK, I would use them a lot more. With World of Hyatt, the company ripped up its existing tier structure and replaced the previous two levels (Platinum and Diamond) with three tiers. This has not gone well with regular guests, partly because benefits have been downgraded and partly because the new top tier – requiring 60 nights – is almost impossible for most people to achieve given Hyatt’s small global footprint. The non-sensical new tier names didn’t improve sentiment. Discoverist – requires 10 nights or 25,000 base points. Benefits are premium internet, a free bottle of water daily and a free night voucher for a Category 1-4 hotel when staying at 5 different brands. Explorist – requires 30 nights or 50,000 base points. Additional benefits are 20% bonus on base points, four vouchers for free Club Lounge access, and a free night voucher for a Category 1-4 hotel (valid for 180 days) when hitting or requalifying for Explorist. Globalist – requires 60 nights or 100,000 base points, but is renewable at just 55 nights. Additional benefits are room upgrades, including standard suites, and guaranteed Club Lounge access or free breakfast where no lounge is available. Resort fees are waived where charged. You receive a free night voucher for a Category 1-4 hotel (valid for 180 days) when hitting or requalifying for Globalist. Globalist members also receive four free suite upgrade vouchers to use on paid or reward stays – these are confirmed at the time of booking making it the most generous suite upgrade benefit in the industry. For very heavy Hyatt stayers, you will receive either 10,000 bonus points or an additional suite upgrade voucher when hitting 70, 80, 90 and 100 nights per calendar year. From January 2018, reward nights count towards elite status. Globalist status with Hyatt is generally seen as very attractive, primarily due to the guaranteed club access and the four annual suite upgrade certificates. These can be used for stays of up to seven nights each. The full list of elite benefits is here. World of Hyatt does offer lifetime Globalist status. However, the target of 1m base points – requiring $200,000 of hotel spend – is exceptionally high. 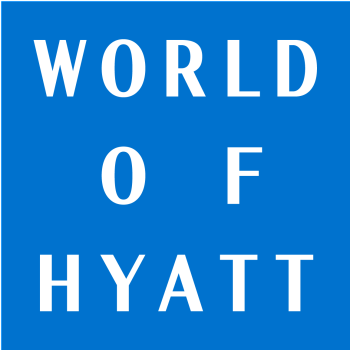 World of Hyatt gives 5 points per $1 spent, plus the 20% elite bonus if applicable. See the Hyatt site here. Hyatt runs regular promotions. See our ‘Hotel Promos‘ page for any current offers. If you are visiting Las Vegas, Hyatt has a partnership with M Life. This allows to earn and spend World of Hyatt points at 12 hotels in Las Vegas including Bellagio, Aria, Mandalay Bay, Excalibur, Luxor, Vdara, MGM Grand and Delano. Details are here. Redemption rates for hotels run from 5,000 points in Category 1 (the cheapest properties, mainly old US hotels) to 30,000 points in Category 7. I tend to value Hyatt points at 1p each on this basis, but at the most luxurious Park Hyatt properties you can do even better. There are no discounts for extended redemptions, unlike the ‘five for four’ deals run by Hilton and Marriott. There are no blackout dates. If a standard room can be bought for cash, it is available for points. For a roughly 30% points premium, you can book a room with club access at a participating hotel. A 5-star 25,000 point Category 6 redemption would typically require an Explorist member to spend $4,150. This is almost 250% more than Radisson Rewards would require for a top hotel. Unlike Hilton, which has a similar premium, Hyatt promotions tend to be less generous so it is harder to reduce this spending target. Hyatt points will expire after two years of total inactivity on your account. I wrote a full article on Hyatt’s expiry policies, and ways to stop it happening, here. Yes. Hyatt allows you to upgrade to a suite or club room using points. A suite will cost 6,000 points per night whilst a club room is 3,000 points per night. You need to book a room at Best Flexible Rate to upgrade, and must book the equivalent of a ‘deluxe’ rather than ‘standard’ room. Yes, Hyatt offers ‘cash and points’ rooms. These are explained more fully in this post. They represent a good deal, although hotels are not obliged to offer them even if ‘all points’ reward nights are available. You will not generally find them available at peak periods. World of Hyatt points can be transferred to a large number of airlines including Avios. The transfer ratio of 2.5 : 1 is not bad. However, given that you can get a one-night upgrade to a suite for just 6,000 Hyatt points, I would use them for that. Hyatt points are tough to earn if you are UK based and should not be transferred to airline miles unless you are sure you will never use them for a room. Yes, see ba.com here. You can earn 500 Avios per stay by showing your British Airways Executive Club card at check-in. You will not earn any World of Hyatt points. However, you must still be a member of World of Hyatt in order to do this. 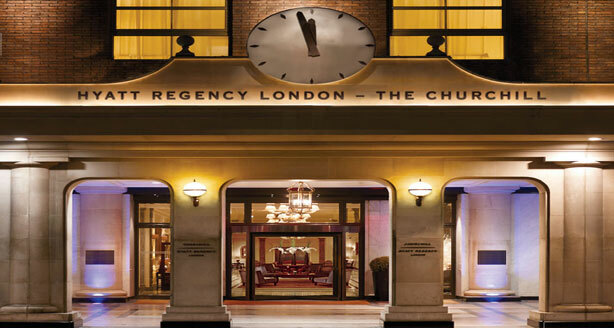 Bottom line – virtually the only way for a UK resident to obtain Hyatt points is to stay in their hotels. That is a very radical approach in 2018! You can buy World of Hyatt points for $24 per 1,000 via this link. This is not cheap, but can actually represent a bargain if using the points for a suite or club room upgrade (6,000 and 3,000 points per night). Over the last couple of years Hyatt has become more aggressive in offering bonuses when buying points, reducing the cost further. Points can be transferred to other members by filling in this form here and emailing or faxing it to Hyatt. There is no charge for this. However, as I found out to my cost a couple of years ago, you can only do it if both members have had a stay within the last 12 months. In Part Two of this article tomorrow I will give my personal opinion on World of Hyatt. Save money on No 1 lounges and get free champagne or Virgin miles too! Hotel related, not Hyatt but Hilton specifically….having lost Diamond last month I got offered the status match challenge to my IHG Platinum for 8 stays. Does a two room reservation on the same night count as one or two stays toward my eight stays? Many thanks. Add both on the same night it will be one stay. If paying cash, remember to ask them to combine the bill so you get the points for both. Related to Olly – as I have a Diamond challenge matching my IHG Plat too. Can anyone confirm that reward nights count towards the 8 stays I need to do within 90 days? Would be a pain to miss by 1-2 nights. Yes they count. Got my mail half on reward stays. One stay, where Hilton is concerned. Is there no Diamond status match any more? I.e. screen print of equivalent tier as opposed to a challenge? It seems to be challenges only now, not matching, as far as Hilton goes anyway. You will get points on incidentals and any ‘xxxx points per stay’ bonus. Doesn’t make any real difference EXCEPT that if you are going somewhere very expensive in the future you may get better value for points in New York, Paris etc. Only slightly OT: would you be interested in a guest pair of articles about Wyndham Rewards? I’m a Diamond member, and would be happy to contribute. No, there’s very little UK interest in the scheme to be honest. If there was I’d do one. Thanks for the offer though, genuinely appreciated. The current two stays gets a free night offer is nice though, switching a couple of nights to a cheap Ramada got me a free night in the New Yorker (worth ~$250) for my Manhattan holiday later this year. If they continue to have offers like that they could garner more interest. If anyone is looking for a good UK hotel to earn these, check out the Ramada in Belfast. Pretty unbeatable location, and they do a killer Ulster Fry for breakfast. Fair enough, I thought that might be the answer, but at the same time I thought it might have been lack of familiarity with the scheme on your part. It’s definitely true that it’s easier to get value out of the program when abroad ( not just the US, they have very good coverage in Germany for instance), although even in the UK there’s a few gems beyond the motorway service station Days Inns. Hyatt are building a hotel in Sukhumvit Road, Bangkok and it looks as though it will be a very nice hotel. The opening date is still shown as Q3 this year but progress has been glacial over the past year. We’re very interested in staying there around November – if it’s going to be open by then. I’d be very grateful if anyone has an update on the opening date, as there seems absolutely no information available online. Thanks. When upgrading to a suite with points, what availability does there need to be for the suite? Is it simply standard revenue availability or are there blackout dates etc.? Also since you need to book at BFR to upgrade with points, can you stack with Virtuoso/Amex FHR (book the deluxe room at BFR with the Virtuoso deal, then upgrade with points?). Asking because for some properties it might make sense to buy the points just to get the suite upgrade. The hotel has to choose to make suites available for upgrade. I don’t know if this is a publicised benefit but at the Andaz Delhi I was offered a complimentary hour (actually 2 hours). It included snacks and a small al la carte menu, beers, wine and a few cocktails. I’m the lowest tier so I was pleasantly surprised when I got this. Is this Andaz specific or just that hotel? I have also had the Andaz ‘cocktail hour’ experience at Andaz Delhi Aerocity. I thinks that it’s to provide a ‘Regency Club / Grand Club’ style benefit – don’t know how widespread it is or whether it will last ? ?